Running this year over the weekend 7th - 9th July Oban Sailing Clubs Round Mull Race is always a popular event with competitors. The event attracts all types of sailors annually and offers something for everyone with various different classes included a two-handed class. Circumnavigating the island of Mull to port the fleet departs Oban on the Friday morning with overnight stops in Tobermory and Bunessan with the world famous Mull hospitality in full flow. 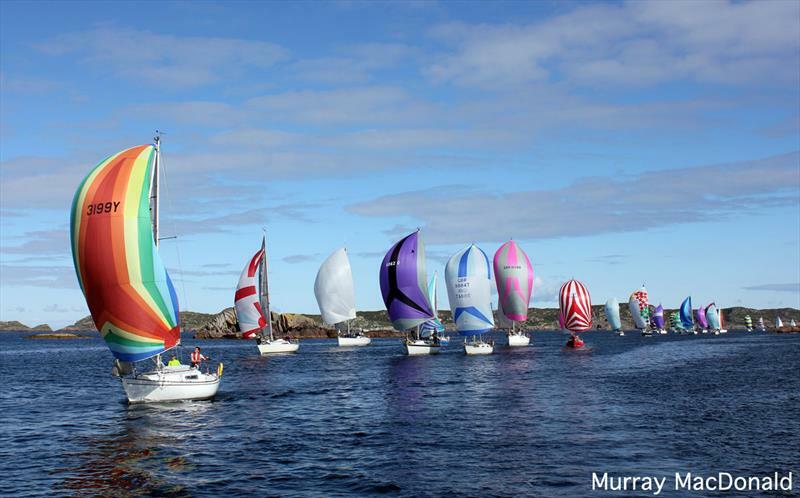 If your looking for different weekends sailing in some of the finest waters Scotland has to offer why not enter this years event. Visit the Oban Sailing Club Website for full details and entry forms.